Thailand's Election Commission will consider on Monday the surprise nomination of a Thai princess as a prime ministerial candidate for March elections after her brother, King Maha Vajiralongkorn, called it "inappropriate" and unconstitutional. In a statement read out on all television stations within hours of her candidacy, King Vajiralongkorn said it was "inappropriate" for members of the royal family to enter politics. The Election Commission has until Friday to rule on the princess's candidacy. Its members are unlikely to disregard the wishes of the king who, while a constitutional monarch, is considered semi-divine in Thai society. Thai Raksa Chart's executive chairpersosn Chaturon Chaisaeng declined to comment on Sunday on the request to disband the party. In a statement, the party said it "will move forward into the election arena to solve problems for the country". The junta leader, Prayuth Chan-ocha, is also contesting the race for prime minister as the candidate of a pro-military party. 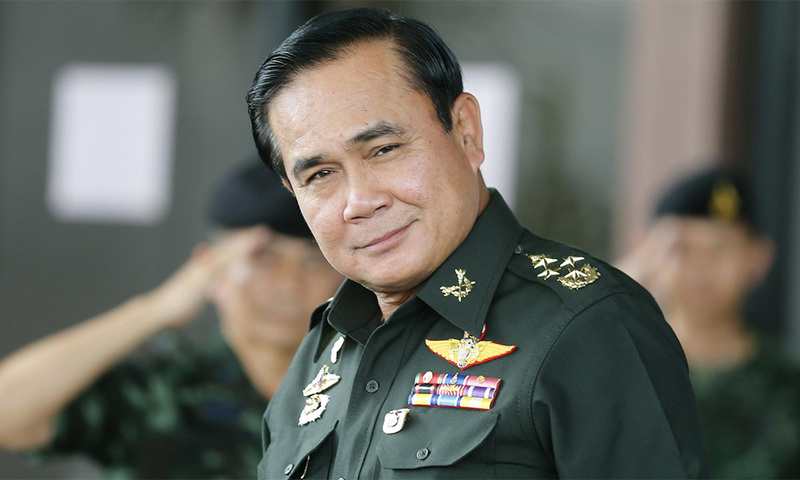 Prayuth (photo) was the Thai army chief in 2014 and led the coup that ousted a government led by Thaksin's sister. "If the party is dissolved, it could give more seats to anti-Thaksin affiliated parties," he said, although there are other parties loyal to the ex-premier contesting the election.